Bugs and butterflies learning activities are a popular during the Spring. My son loves learning about insects, so I made a list of activities we would love to try this Spring! 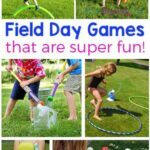 All of these activities are from some of my favorite kid bloggers and I am really excited to try them out. 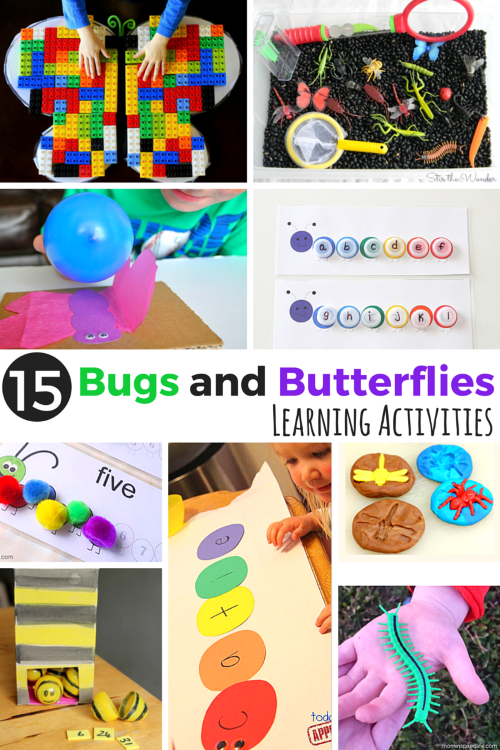 There are literacy, math, science and even sensory learning activities with a bug and butterflies theme. I can’t wait to try them out this Spring! 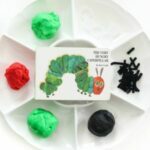 Letter Matching Caterpillars – Print out these free caterpillar cards and have a blast with this hands-on letter matching activity. 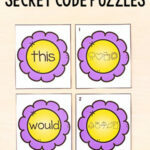 You can also use the cards to teach numbers, colors, shapes, sight words and more! 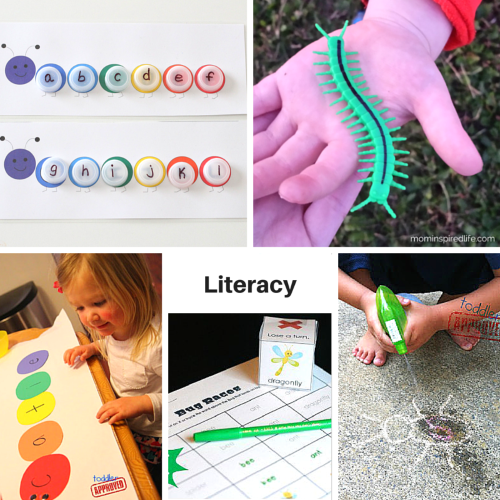 Alphabet Bug Spray from Toddler Approved – Spray chalk-drawn bugs with a water bottle when you do this super fun alphabet activity. Hunting for Creepy Crawlies by Beginning Sound – Go outside and hunt for toy bugs and then sort them by beginning sounds. Rainbow Caterpillars Name Matching Activity from Toddler Approved – Learn how to spell your name when you make these cute caterpillars. Bug Race Game from Playdough to Plato – Kids will read and then write the name of many bugs with this neat graphing game. Counting Caterpillar Busy Bag from Powerful Mothering – Learn to count when you combine pom poms and these printable caterpillar cards. 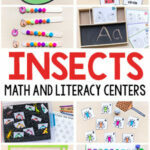 Bug Jar Math Printables from PreKinders – Count bugs and sort them into jars with this hands-on math activity. 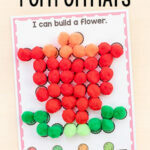 Learning Symmetry with Legos and Butterflies from Fun at Home with Kids – Kids will have a blast learning about symmetry while making a beautiful butterfly from Lego blocks! 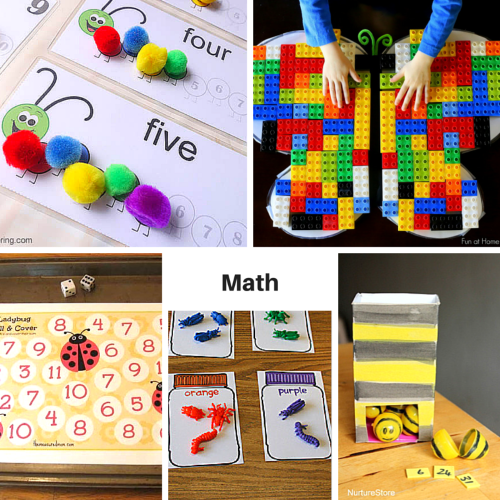 Ladybug Math from The Measured Mom – This post contains a bunch of hands-on math learning games and printables with a ladybug theme. Bumble Bee Game from Nature Store – Turn Easter eggs into bumble bees and play this cute math game. There is also a spelling version of the game too. Static Electricity Butterfly Experiment from I Heart Crafty Things – This simple and exciting science activity will teach kids about static electricity! Playdough Bug Fossils from No Time for Flashcards – Children will have lots of fun when you combine play dough and toy bugs to make fossils. Insect Sensory Bin from Stir the Wonder – There are 3 ways to play with this neat bug sensory bin! Digging for Bugs in the “Mud” from I Can Teach My Child – Dig through chocolate play dough to find bugs. 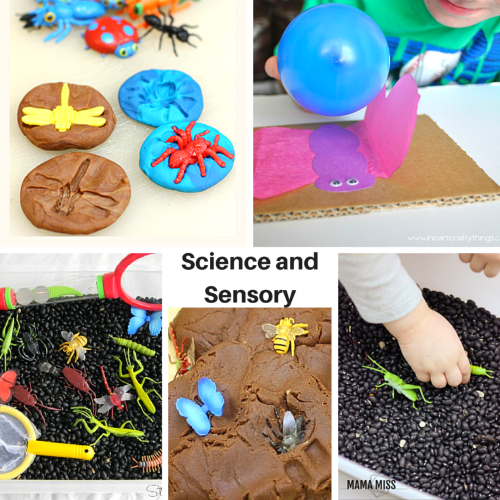 Bug Hunt Sensory Bin from Mama Miss – Use this free printable guide and go on a bug hunt in a sensory bin. In addition, I wanted to include this awesome list of 19 Books About Bugs from No Time for Flashcards. 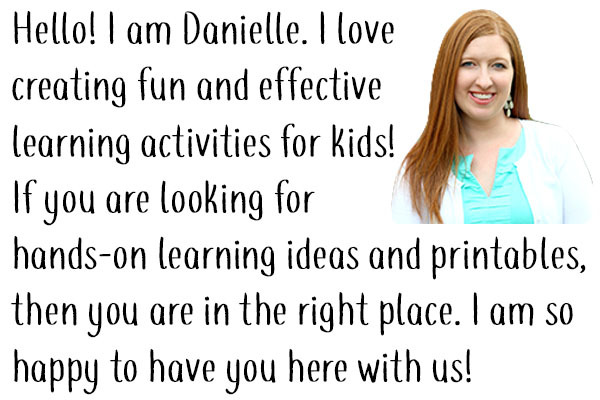 Now you don’t have to do all the work to find books to go with your bug themed learning! Hopefully this is a helpful round-up that you can use to plan bug and butterfly related learning activities this Spring! 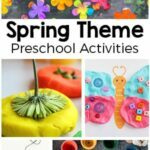 This month we are joining up with a bunch of our friends from the Kid Blogger Network to bring you TONS of Spring fun and learning activities as well as an awesome cash giveaway! 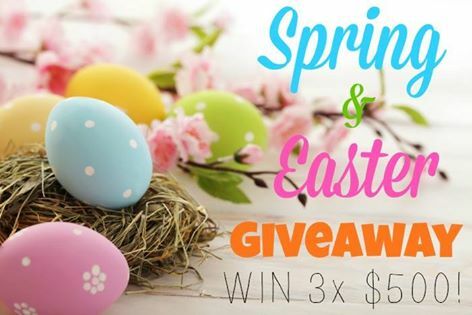 Enter the giveaway below and then scroll down even further to see all the fantastic Spring posts from my fellow kid bloggers!